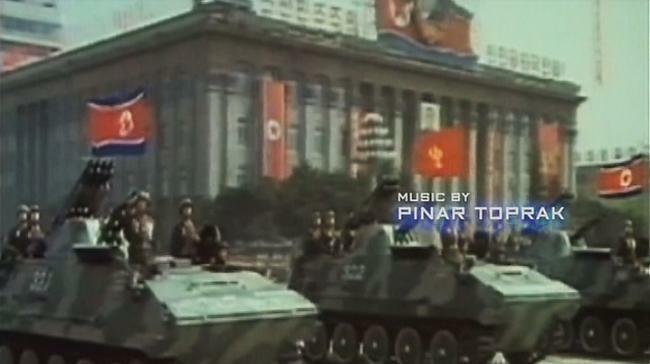 As important it was for the North Koreans as the Type 63 was for the PLA, the VTT 323 (soon called Sinhung M1973 by US intelligence) was based precisely on this vehicle, as deduced from the observations, parades and data (most sources are talking of a licensed copy although there is no formal proof). 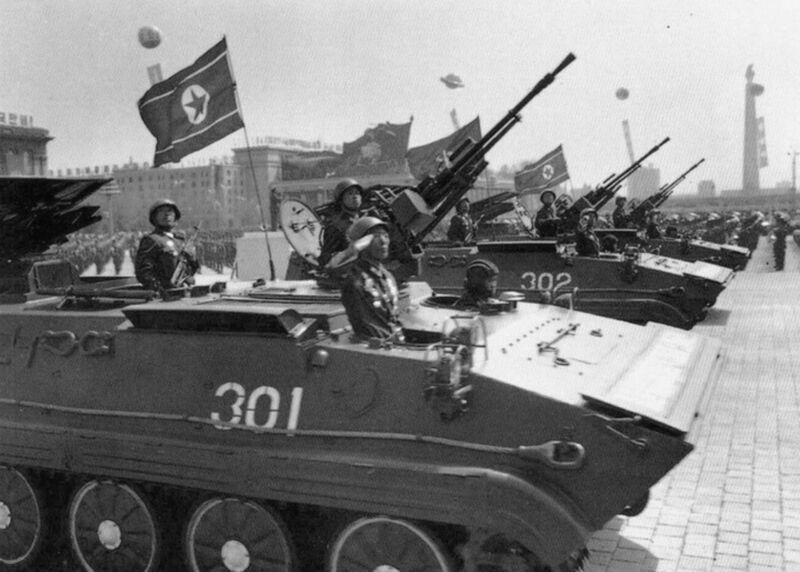 It was built not long after the Type 63 and mass-produced to more than 3200 vehicles to this day, declined also into multiple variants. 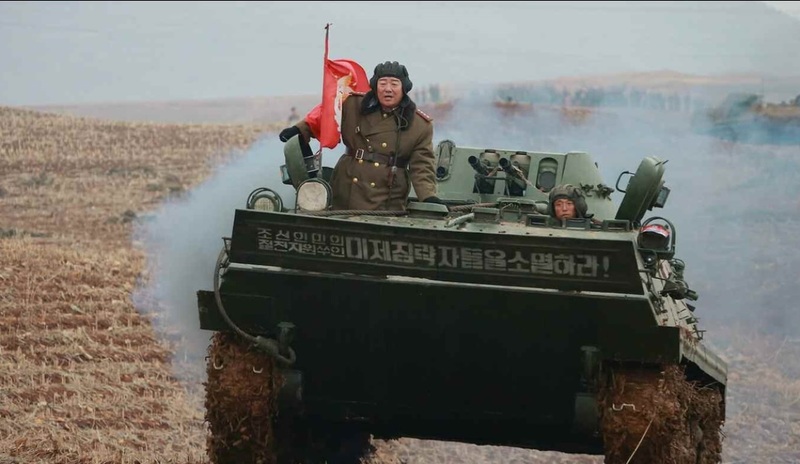 This is nowadays North Korea’s main frontline APC. Obviously, the VTT-323 shared many characteristics with the Type 63, up to many details. The slab-sided, flat roof hull looks at least externally similar, just as its compact dimensions. Made of welded steel RHA it is about 18 feets long (5.48m), for 2.6 high and 2.8 widths. Nevertheless, the same crew capacity is alleged, 4 crew and 10 infantry. The crew comprised the driver, seated on the front-left and co-driver to the right (engine in the right section behind), with three periscopic sights and hatch, while the commander is seated behind the driver, with his own cupola hatch and periscopes. 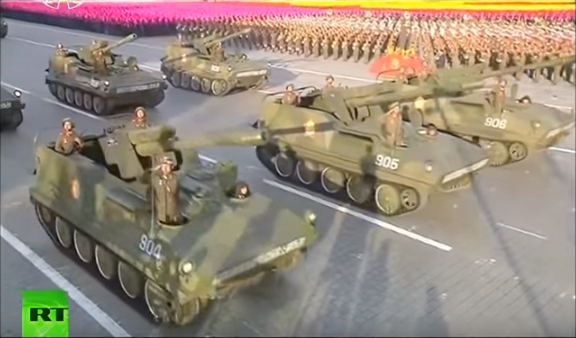 The rear section is devoted to the armament and troops. In addition the sides and rear doors pistol ports, there are rear roof hatches to fire on the move. 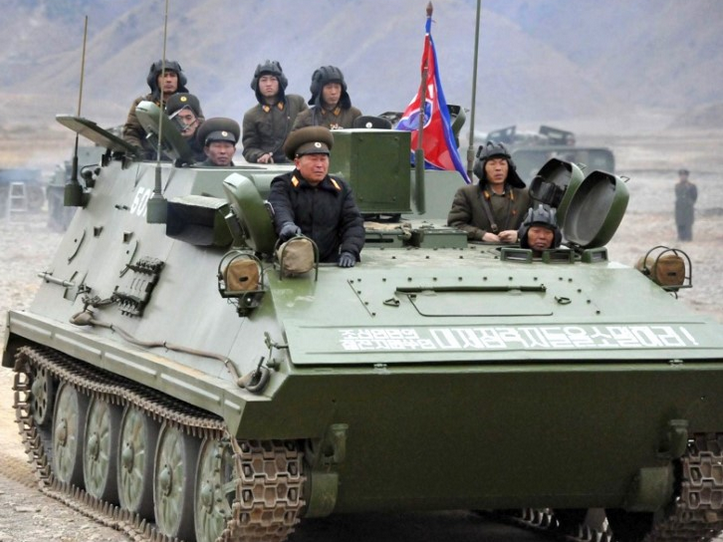 For active protection the vehicle does not show any smoke dischargers, it is believed also that it is not equipped with a collective NBC system. On the mobility side, the VTT 323 is given the same drivetrain with five rubber-clad roadwheels per side, front sprockets and rear idlers. There are no return rollers and side skirts protect the roadwheels. 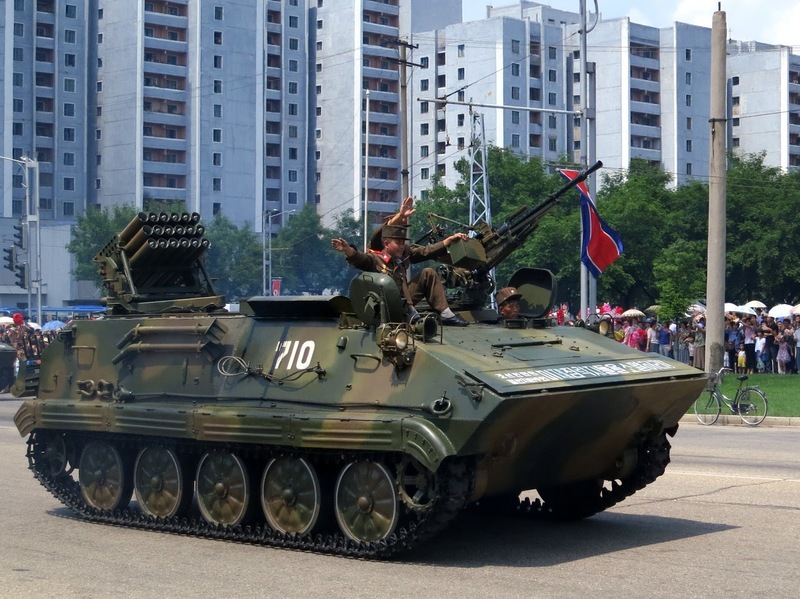 Presumably, like for the Type 63 suspensions are torsion bar units and shocks absorbers on the front and rear units. The engine is likely to be a copy of the 320 hp @2500 rpm, air-cooled Deutz BF8L413F diesel 8-cylinder. Given the 10 to 15.3 tonnes to carry, the power-to-weight ratio is about 47 hp/tonne. Top speed is about 40 mph (65 kph) on flat, autonomy estimated around 300 miles (500 km). The VTT-323 is fully amphibious, propelled by its tracks when swimming. A short trim vane is clearly shown on all vehicles. The vehicle is assumed to negotiate a 60% slope, 40% side slope, 0.6 m vertical step and 2m trench. 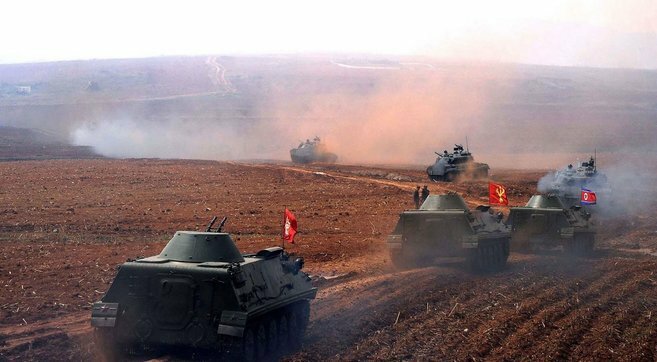 On the armament side, the most common one seems to be located on the basic APC version in a well-sloped turret with a 14.5 KPVT-type heavy machine gun, which has a 2 000 m against ground targets and 1 400 m against air targets. 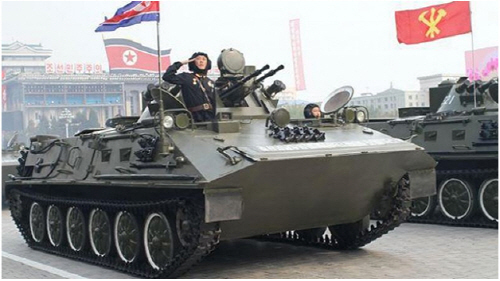 The turret is rounded with a flat sloped face, and gun breech with a 90° mount allowing fire against flying targets. 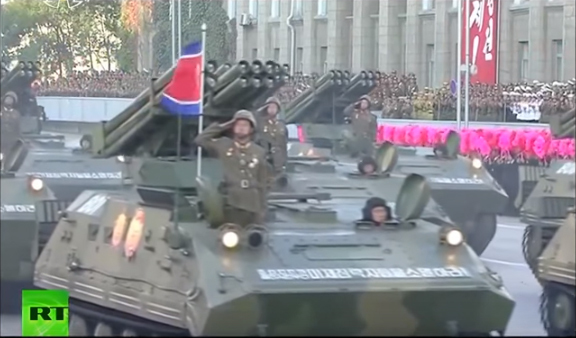 This one is usually coaxial with a 7.5 mm KPT-type light machine gun, or a twin 14.5 mm. 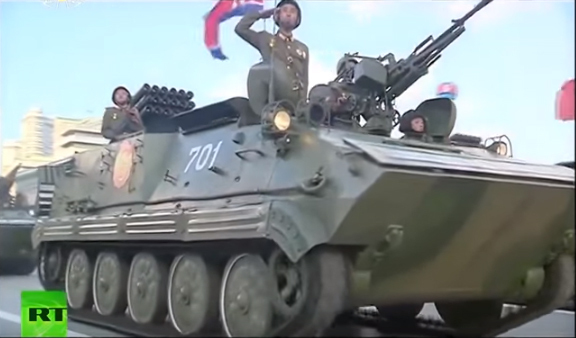 In addition, parades show a quad launch rail for an AT-3 Sagger anti-tank guided missiles shown mounted on the turret’s top, a quite potent combination when added to the infantry’s main MANPADS and RPGs as it has a 3000m range. 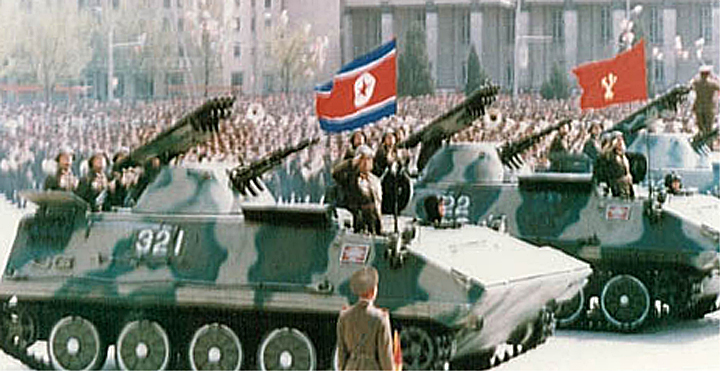 M1992 120mm self-propelled howitzer, based on the same chassis. 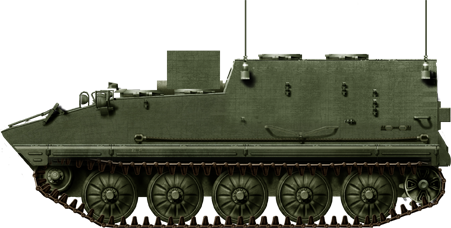 Nicknamed “VET” these vehicles were declined like the Type 63 in a large variety of derivated vehicles, one of which is an armoured ambulance, a command vehicle, at least two antitank version armed with either the AT-3 “Sagger”, SA-7 “Grail”, or SA-16 “Grouse”, and self-propelled howitzer, or mortar. 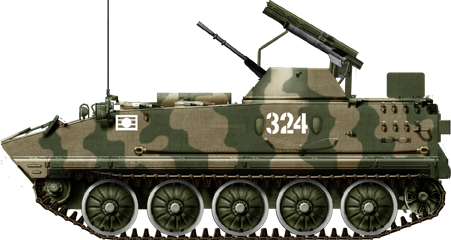 122mm Self Propelled Gun, based on the VTT-323 chassis. 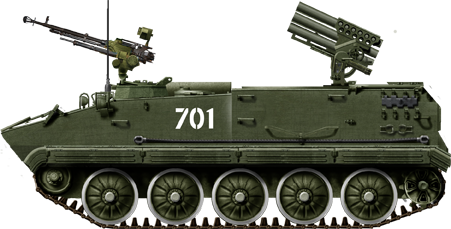 The PT-85 light tank apparently uses the lengthened hull of the VTT-323 APC. 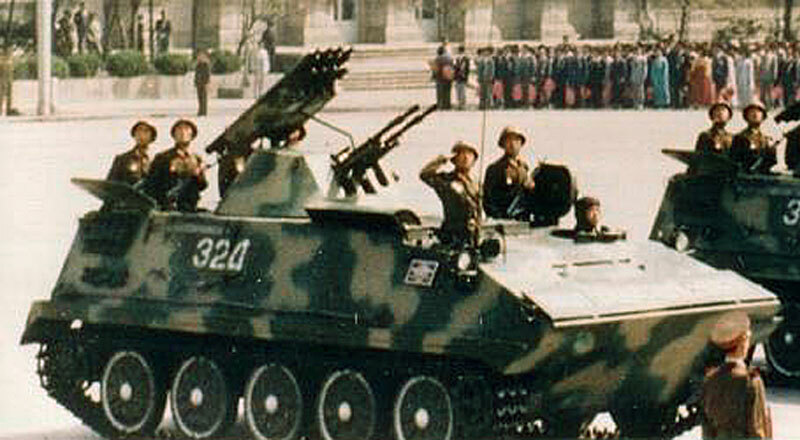 VTTC (Command variant) showing its crew.